It’s lovely to walk (or drive) around our local park. 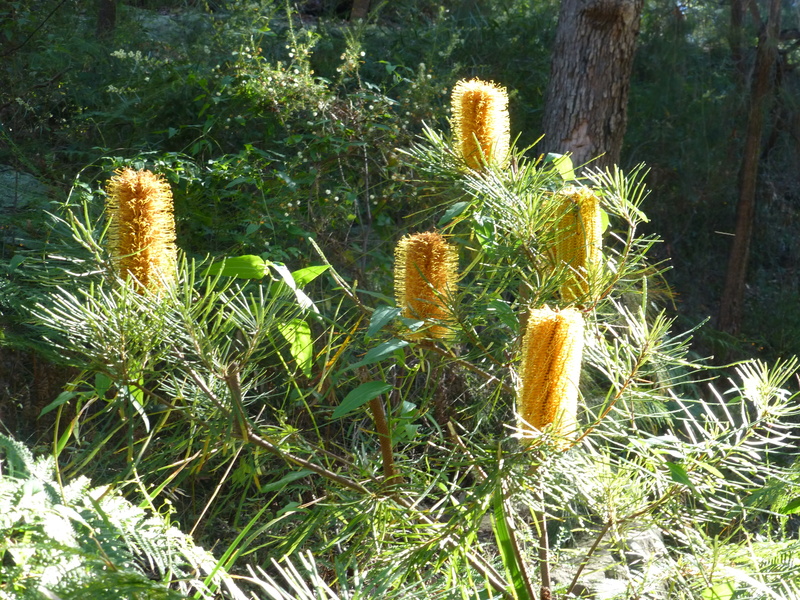 Not only are all the beautiful native birds around, often nesting high in the gum-trees, but also the delightful Banksias are in flower. I hope that you enjoy seeing this photo which was taken there. 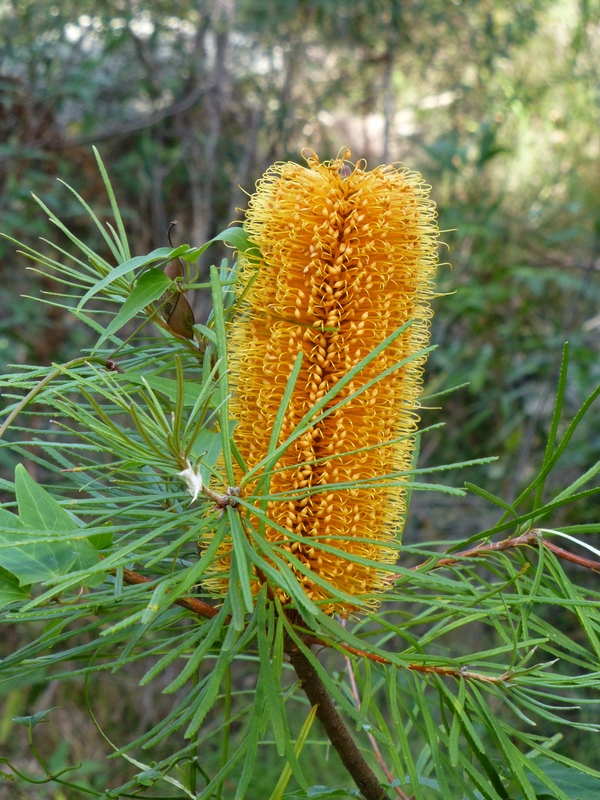 Here is a photograph of a lovely Spine-leafed Banksia. Its gloriously-coloured flowers brighten the days of those who visit our local park between the months of April and September. Isn’t it a particularly striking Australian Native?